WHAT A DEAL! 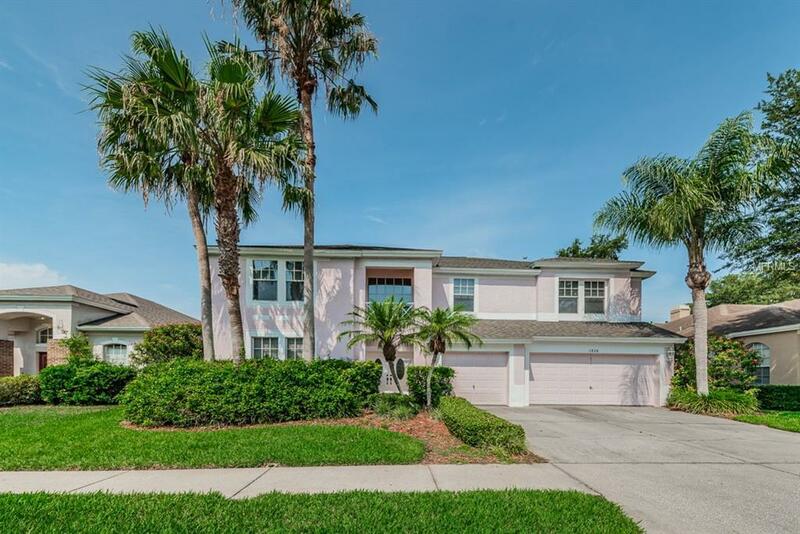 LOWEST PRICE PER SQUARE FOOT HOME.Welcome home to this 5 bedroom, 4 bath, 3 car garage home located in Grassy Pointe subdivision in Tarpon Springs. This majestic home is nestled on a lushly landscaped lot & has a very private yard that backs up to a natural preserve. Enter this executive style home through the foyer and see the beautiful travertine floors that lead to a separate formal living & a dining room on the left. Across the foyer is the library. The kitchen is huge,with its endless counters, breakfast bar & separate eating space. Adjoining the kitchen is the comfortable family room with a fireplace to warm those chilly nights. There is also a bedroom & a bathroom on this first floor. Upstairs you will find the huge master suite, two walk in closets & an en suite bathroom with 2 separate sinks & vanities, a jetted garden tub, a large walk in shower & a separate water closet. The other bedrooms are very spacious & share a Jack & Jill bathroom with 2 separate vanities & sinks,a commode & a bathtub with a shower. The staircase serves as a bridge where you can look down into the foyer & it also serves as a great storage space for decorations or whatever you collect. The back patio is large enough for family gatherings & the back yard backs up to a conservation area which makes it very private. Close to all schools, beaches, parks,The Pinellas County Trail, restaurants, shopping, historic downtown Tarpon Springs & the famous Sponge Docks & Greek restaurants. Make this wonderful home yours!